The European Commission has recently published its draft proposals for further transparency and comparability of financial services, as it aims to simplify the process for the switching of accounts among its EU member states. It also wants to enhance accessibility to basic bank accounts – for the benefit of European citizens. The proposed directive posits that all banking service providers should provide their consumers with information document(s) listing their services and they are being obliged to disclose their costs. The EU Commission maintained that all the financial documentation may be drafted using standardised terminology and formats in order to facilitate comparison across different jurisdictions. In addition, this EU proposal requires that every European member state should have at least one independent price comparison web site which gathers and disseminates all the relevant information (including fees and charges) which may be incurred by customers. The Commission advocated that its proposal will facilitate the process for customers who may wish to switch their bank accounts. This directive suggests that the financial service providers themselves will have to deal with all the steps involved in the switch. It stipulates that the payment service providers must complete this procedure within 15 days (30 days if customer change their accounts in different EU countries). Interestingly, this service must be provided free of charge. 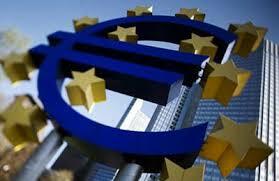 The EU Commission came up with “legally binding measures on payment accounts”. Arguably, with such a directive, the Commission will strengthen its single market. At the same time, the European consumer will be presented with competitive offers and lower costs for their banking services. It is anticipated that the EU bloc’s financial services industry will benefit from increased mobility of clients (including cross-border), with reduced barriers to entry. “Education is not preparation for life; education is life itself” (Dewey, 1897). Education equips individuals with the right skills, substantive knowledge and competences to pursue their own goals. It enables them to become an integral part of the community as fully-fledged, autonomous citizens. In its broadest sense, education is a means of “social continuity of life” (Dewey, 1916:3). Even Plato in ‘the republic’ inquires about morality and the good life. He posits that human beings should be active within their community. The Greek philosopher maintained that every aspect of our life creates ‘harmonious people’. He went on to say that morals and ethics are part of an even balance of wisdom, courage, and restraint. The main philosophical thoughts and the theoretical underpinnings of education are important social domains which have attracted the interest of many philosophers for thousands of years. For instance, Socrates floated his idea that knowledge is a matter of recollection, not of learning, observation or study (Dillon, 2004). Pertinent literature review suggests that education is a transmission of knowledge. Education fosters enquiry and reasoning skills that are conducive to the development of autonomy (Phillips, 2009). The question of learning and how the educative systems work relate to individual capacities and potentialities. Of course, the processes (and stages) of human development are shaped by many factors. Individuals experience different environmental contexts and settings. Their home country also possesses its own features, which often transcend from norms, traditions and cultures. 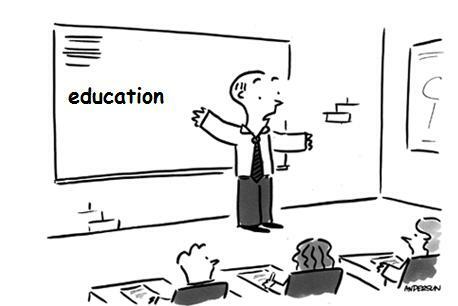 The institutions of education should adapt their curricula to align themselves to the particular social fabric. Consequentially, the background of students as well as their educational environments (in which they are placed) ought to be carefully considered. For instance, Dewey advocated that human beings should be categorised into classes. He compared individuals to organisms situated in a biological and social environment, where problems are constantly emerging, forcing the individual to reflect and act, and then learn (Reed, and Widger, 2008). Individuals can improve upon their existing knowledge as they reflect upon their actions, whether they are at school or in their work phase. Students are individuals with their own trails of growth. Teachers and employers are there to guide and facilitate this growth. The educators’ duties and responsibilities are to help in the academic (and non-curriculum) development of students in their learning journey. Dewey’s educational theories suggest that education and learning are social and interactive processes, and thus the school itself is a social institution through which social reform can and should take place (Dewey, 1916). In addition, the author believed that students thrive in an environment where they are allowed to experience and interact with their curriculum.Essentially, Dewey suggested that all students should be given the opportunity to take part in their own learning experience. Apparently, this approach focuses on the needs of students, rather than of all those involved in the educational process. The discourse revolving around student-centred pedagogy was also replicated in subsequent years by Jean Piaget and Lev Vygotsky. This perspective has many implications for the design of courses. In the student-oriented approach, the educator adapts to the pupils’ needs, abilities, interests, and learning styles. Educators use more than one theory of teaching as they may be capable of wearing different hats with their students. They act as students’ philosophers, advisers, counsellors, motivators, demonstrators, curriculum planners, evaluators and the list goes on. Bloom (1956) has classified three types of objectives: Cognitive, Affective and Psychomotor. Similarly, Tolman (1951) put forth the notion that there are three parts to learning which work together as a gestalt. These are the “significant” goals of behaviour, the “sign” or the signal for action, and “means-end relations” which were internal processes and relationships. The author believed that learning is an accumulation of these sign gestalts, and that they can be configured into cognitive maps. The input from the environment is on-going, and it influences behaviour, in that it causes certain gestalts to be selected or not. In this sense, learning is unique to each and every individual. Beyond the notions of behaviourism, constructivism and the relevant theories and styles, the literature review in this field of study suggests that learning is a process of active engagement as an individual and in social contexts. Recently, the latest shift in educational discourse had been the distancing away from the conception of “learner as a sponge” (Maillet and Maisonneuve, 2011) toward an image of learner as an active construct. Although Dewey reminded us that learners were not empty vessels, education in many jurisdictions was usually based on teacher-centred approaches (Cuban, 1993). Evidently, there was an erroneous assumption that if teachers speak clearly and students are motivated, learning will be successful. When the students do not learn, the logic is that they are not paying attention, or they do not care. These conceptions may have been grounded in a theory of learning that focused on behaviour. Behavioural-learning theorists maintained that if teachers acted in a certain manner, students will react in particular ways. Central to this notion of behaviourism was the idea of conditioning, where the individuals are trained to respond to stimuli. Eventually, the “cognitive revolution” in psychology put the mind back into the learning process (Miller, 1956). Behavioural psychology (based on factual and procedural rules) has given way to cognitive psychology (based on models for making sense of real life experiences (Lesh and Lamon 1992:18). Kandel and Hawkins (1992) maintained that the brain actively seeks new stimuli in the environment from which to learn and that the mind changes through use. Learning changes the structure of the brain (Bransford et al., 2000). Research suggests that young learners from a tender age – make sense of the world by actively creating meaning while they are reading texts. They construct their perceptions of social reality by interacting with their surrounding environment, or simply by talking to their peers. Even if students are quietly observing their teacher, they can be actively engaged in a process of active learning and understanding. This cognitive turn in psychology is often referred to as the constructivist approach to learning. Overall, a statement of teaching philosophy should provide a personal portrait of the writer’s view of teaching. The narrative description of one’s conception of teaching as well’s as one’s rationale and justification for how one teaches and why, may be expressed in a variety of ways (Lyons, 1998). The overarching question in a statement of teaching philosophy is: Why am I teaching? Other relevant questions which follow are: What are my teaching goals and objectives? What is the student-teacher relationship which I strive to achieve? What behavioural methods will I use? What motivates me to enhance my knowledge about the subject I am teaching? What values do I impart to my students? How do I make sure that I have taught my students successfully? What code of ethics guide me? One of the hallmarks of a teaching philosophy is its individuality. Ideally, this personal statement should be of a reflective nature in its content. A teaching philosophy is all about a vivid portrait of an educator who is motivated about teaching practices and committed to career advancement. The act of taking time to re-consider one’s goals, actions and vision provides an opportunity for self-development. The main components of teaching philosophies are descriptions of how educators think learning occurs, or how they think they can possibly intervene in their students’ learning process. Of course, educators set goals for their students. They may also decide to plan how to implement them. For some purposes, including a section on one’s personal growth as a teacher is also important for self-development. This reflective component explains how one educator has grown in the teaching profession over the years. It illustrates what challenges exist at present as it identifies what long term goals are projected for the future. Whilst writing this section, the educator revisits one’s concepts and methodologies. This exercise can turn out to be stimulating as the educator revises the old syllabi and the instructional resources. It goes without saying that the educator will need to remain abreast with the latest academic and research findings in his / her field of studies. It is in the educators’ self-interest to communicate and collaborate with their peers. There is scope for lecturers to work together with other colleagues. They are often encouraged to participate in workshops to share knowledge about best practices as well as resources. In a similar vein, the teaching philosophy should be communicated to the students as it is in their interest to know what is required from them and why (see Cerbin, 1996). Given this information, students are triggered to engage in a more productive manner in their learning journey. It is also likely that students learn much better and succeed in their course. Some empirical studies have shown that appropriate communication with students helps to increase their retention (Thomas, 2009; Braskamp and Ory, 1994). Nowadays, many educators are implicitly exhibiting their teaching philosophies as these are often evidenced to students through syllabi, assignments, approaches to teaching and learning, classroom environment and student –teacher relationships (Thiessen, 2012) The goal of sharing a statement of teaching philosophy is to value and respect students. One repays a teacher badly if one always remains nothing but a pupil (Nietzsche, 1891). Literature review has revealed that many teachers are following the theories and principles which were discussed here. The theories I have described here have provided me with a good insight to develop and articulate my teaching philosophy. This contribution offers a good opportunity to rethink about your teaching practice. I believe that the best educators are the ones who use and create, adopt (or reject) theories of learning and teaching. These theories and principles are derived from many years of experience and careful inquiry as they are tested in class-room settings, critiqued by colleagues and continuously emerge from empirical findings and theoretical underpinnings. “Education, therefore, must begin with a psychological insight into the child’s capacities, interests, and habits. It must be controlled at every point by reference to these same considerations. These powers, interests, and habits must be continually interpreted – we must know what they mean. They must be translated into terms of their social equivalents – into terms of what they are capable of in the way of social” (Dewey, 1897). Bloom, B.S. (1956) “Taxonomy of educational objectives: the classification of educational goals” Handbook I: Cognitive Domain. New York, Longmans, Green. Bransford, J., A. Brown, and R. Cocking, eds. (2000) “How people learn: Brain, mind,experience, and school”. Washington, DC: National Academy Press. Braskamp, L.A., and Ory, J.C. (1994) “Assessing Faculty Work: Enhancing Individual and Institutional Performance”. Jossey-Bass Higher and Adult Education Series. San Francisco. Cerbin, W. (1996) “Inventing a new genre” The course portfolio at the University of Wisconsin La Crosse. In Making Teaching Community Property: A Menu for Peer Collaboration and Peer Review, ed. P. Hutchings. Washington, DC: American Association of Higher Education. Cuban, L. (1993) “How teachers taught: Constancy and change in American classrooms 1890–1990”. New York: Teachers College Press. Dewey, J. (1897) “My Pedagogic Creed”. Url: http://dewey.pragmatism.org/creed.htm accessed on the 25th April 2013. Dewey, J. (1916) “Democracy and Education: an introduction to the philosophy of education”. Url: http://www.gutenberg.org/files/852/852-h/852-h.htm accessed on the 25th April 2013. Dewey, J. (1938) “Experience and Education”. Url: http://www.schoolofeducators.com/wp-content/uploads/2011/12/EXPERIENCE-EDUCATION-JOHN-DEWEY.pdf accessed on the 25th April 2013. Dillon, A (2004) Education in Plato’s Republic Url: http://www.scu.edu/ethics/publications/submitted/dillon/education_plato_republic.html accessed on the 5th May 2013. Kandel, E.R. and Hawkins, R.D. (1992) “The biological basis of learning and individuality.” Scientific American 267.3, pp.78-86. Lyons, N. (1998) “With Portfolio in Hand: Validating the New Teacher Professionalism”. Teachers College Press, New York. Maillet, B. and Maisonneuve, H. (2011) “Long-life learning for medical specialists doctors in Europe”. CME, DPC and qualification. Presse médicale (Paris, France: 1983), 40(4 Pt 1), 357. Nietzsche (1891) “Decadence, and Regeneration in France (1891-95)” In Forth, C.E. (1993). Journal of the History of Ideas, 54:1 pp97-117. Phillips, D.C., (2009) “Philosophy of Education”, The Stanford Encyclopedia of Philosophy. Edward N. Zalta (ed. ), Url: http://plato.stanford.edu/archives/spr2009/entries/education-philosophy/ accessed on the 2nd May 2013. Plato. The Republic. 2nd ed. Trans. Desmond Lee (1987) Penguin Books, New York. Reed, D. and Widger, D. (2008) “Democracy and Education” by John Dewey. Url: http://www.gutenberg.org/files/852/852-h/852-h.htm accessed on the 4th May 2013. Thiessen, D. (2012)”Classroom-based teacher.” Early Professional Development for Teachers 317. Thomas, L. (2009) “Improving student retention in higher education”. AUR, 9. Tolman, E. C. (1951) “Behaviour and psychological man: essays in motivation and learning”. Berkeley, Univ. of California Press. Many successful businesses are forging strategic alliances in their value chain in order to run their businesses profitably. They also promote the right conditions of employment, where they can. Arguably, several businesses are doing well by doing good as they create shared value opportunities in their supply chain. At the same time, they are instrumental in improving the lives of their suppliers. They do this as they want to enhance the quality and attributes of their products, which are ultimately delivered to customers and end consumers. Nestlé, Google, IBM, Intel, Johnson & Johnson, Nestlé, Unilever, and Wal-Mart are some of the multinational organisations who have somewhat embraced the ‘shared value’ approach. These successful global businesses have shown that they are capable of creating value for shareholders as well as for society in general. In many cases they are building partnership and collaborative agreements with external stakeholders (including suppliers) hailing from different markets. Evidently, these businesses are reconceiving their products as they are taking a broad view of their purchasing and procurement and on production activities. Several multi-national organisations are looking beyond their short-term profits for shareholders. They are also looking after their other marketplace stakeholders. 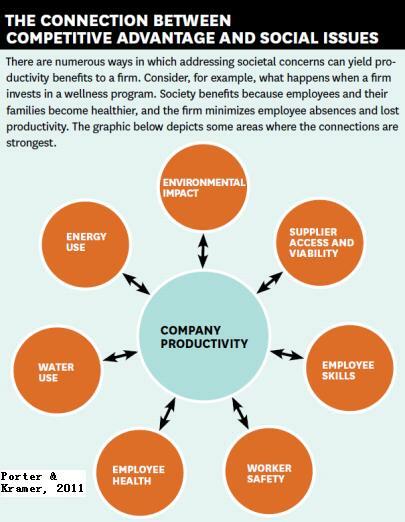 Many multinational organisations are redefining productivity in the value chain and enabling local cluster developments to mitigate risks, boost productivity and competitiveness. 89.5% of Nestlé‘s suppliers comply with the brand’s Supplier Code. Nestlé’s sources 11% of its cocoa through the Nestlé Cocoa Plan, where they have trained more than 27,000 farmers and distributed more than 1,000,000 high-yield, disease-resistant cocoa plantlets. Nestlé helped 14 cocoa cooperatives achieve UTZ or Fair Trade certification. Nestlé purchased 133,000 tonnes of green coffee through Farmer Connect, trained more than 48,000 farmers and distributed 12 million coffee plantlets in 2012. 80% of the palm oil that Nestlé purchased this year was RSPO compliant, out of which about 13% was traceable RSPO certified oil and 67% had GreenPalm certificates. More than 8,000 farmers joined the Nespresso AAA Sustainable Quality™ Program in 2012 and we’ve sourced 68% of Nespresso coffee through the AAA Sustainable Quality™ Program. 50% of IHGs’ hotels (2,250 based on January 2012 hotel figures) have used Green Engage as at 14 January 2013. Developed further new features within IHG Green Engage such as multi-unit reporting and a water benchmark. Evidently, many multinational organisations have taken on board Porter and Kramer’s latest notion, “creating shared value” as they work hard to ensure a sustainable and high quality supply of their raw materials. Some of these latest corporate responsibility developments are focusing on training of suppliers, improving social conditions, buying from cooperatives and paying premiums, and working with certification programmes (such as FairTrade, Ecolabels et cetera). Of course, all these initiatives create value through the supply chain, particularly for the smaller businesses and sole traders. Effective communication with stakeholders is a very important element of responsible business behaviour. This contribution suggests that through stakeholder engagement, businesses are identifying emerging issues, shape their responses and continue to drive improvements in their financial performance. Commission accuses companies of ‘group think’, demands social responsibility | EurActiv.